Now that I've made you read the list, Table 2 has what you really want to know—the difference between the WAP121 and WAP321's features. Figure 5 is a shot of the web admin interface so you can confirm that the Captive Portal option isn't there. The interface is otherwise the same as the WAP321's and many other Cisco small-biz products. It requires a wide format screen and therefore isn't tablet and notebook friendly. You'll find yourself doing a lot of horizontal scrolling, especially in the status screens. 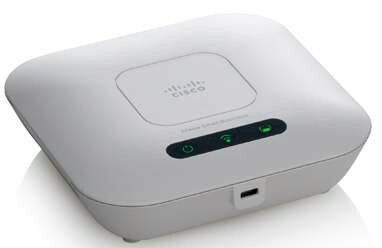 Cisco unfortunately doesn't have an online emulator so that you can take the WAP121 for a test drive. There are a lot of features and nuances, so you might want to download the admin guide.